Mildew and mould can have disastrous consequences on the fabric of properties and their contents and can also cause serious health problems. 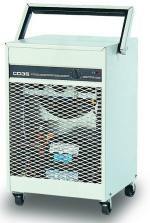 The light but compact Ebac CD35 commercial dehumidifiers are the answer, costing no more to run than a TV set and requiring no installation.The Ebac CD35 will operate quietly and efficiently until the automatic cut off occurs when when the integral 4L water container needs emptying. A gravity drain hose can also be fitted where a more permanent drain is required. The CD35P is also available as a pumped version capable of pumping to a 4.3m head for more permanent installations or where frequent emptying of the integral container is an issue. A 7.8m x 3/8 i.d. hose is supplied. The RM40 Dehumidifier is a recent addition to the EIPL range of Rotational Moulded Polyethylene Housings. This durable housing, and EIPL’s years of experience with refrigeration systems, ensures the product not only looks the part, but is also capable of outperforming competitors models of similar capacities. The RM40 is fitted with Hot Gas Defrost unique EEVC system, ensures the optimum extraction across the full operating spectrum. Fitted with Humidistat and water collection tank. An optional condensate pump & 7.8m drain hose is available for a more permanent installation. Expensive cars, tools, machinery or small storage areas can all fall foul to high effects of humidity. 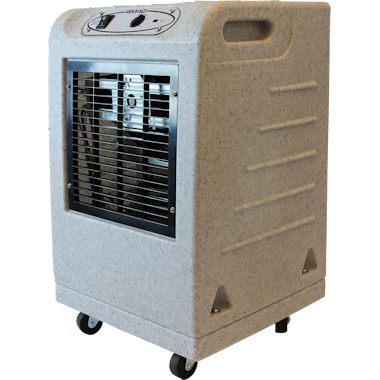 Using Ebac CD30 commercial dehumidifiers are the reliable answer to a real market need. In a robust zinc coated steel shell the Ebac CD30 is fitted with a variable humidistat to give the preferred level of dryness whilst minimising running costs. The CD30 has a gravity drain. Wall brackets are an optional extra. The CD30E has the same extraction rates as the CD30. Finished In a robust zinc coated steel shell the Ebac CD30e is fitted with a variable humidistat to give the preferred level of dryness whilst minimising running costs. The CD30E has the same features as the CD30 but is fitted with low temp protection, hour meter, volt free alarm humidistat contacts plus wall brackets and heated condensate tube which ensure heated drainage in freezing temperatures. 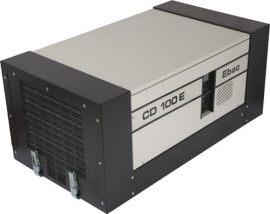 With the Ebac CD100 Dehumidifier with variable humidistat, controlled humidity conditions can be maintained to give protection in larger commercial areas and buildings. Installation is quick and easy, simply position the unit, connect it to the mains supply and switch it on. The CD100 is a free standing unit and comes complete with a tubular ‘skid’ frame, however a bracket is available which will allow the unit to be wall mounted. Condensate drainage is a gravity system from an outlet at the base of the unit. For use in commercial areas and large buildings the K100P is the ideal unit to control humidity and maintain desired conditions in your premises. With the capacity to extract up to 36 litres of moisture in 24 hours (at 27 deg C & 60% RH) combined with a variable humidistat control the K100P will maintain conditions without the worry of excessive energy costs or over drying. Fitted with condensate pump and drain hose. Note: A 220vac / 60Hz version is available for the offshore oil industry etc at the price of £1,449. Please email us for availability as these are made to order. The CD100E is a free standing unit and comes complete with a wall mounting bracket which will allow the unit to be wall mounted. 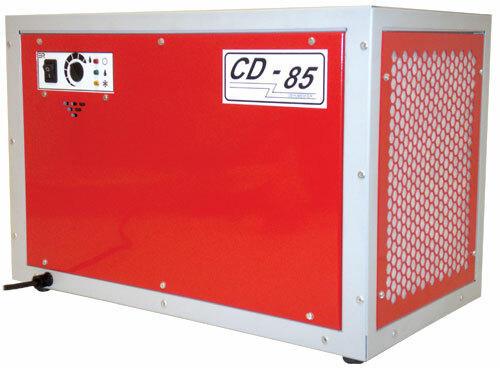 Additional features of the CD100E include an alarm humidistat, alarm plug and socket connector, heated condensate tube and hour meter. By installing the CD100e with integral humidistat controlled humidity conditions can be maintained to give protection in larger commercial areas and buildings. Gravity drain only on this model. Designed for operation in low temperature conditions, fitted with alarm humidistat, hour meter and full wall mounted installation kit. 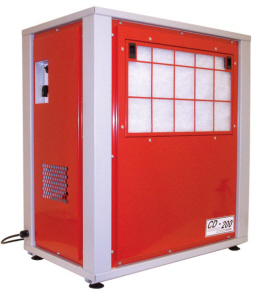 The largest of the CD range of Ebac industrial dehumidifiers is the Ebac CD425 dehumidifier which will operate in a broad range of temperatures and is designed to fulfil the needs of commerce and industry for effective environmental control. Without any fears of over-drying or unnecessary energy costs it is the total solution for condensation and corrosion. 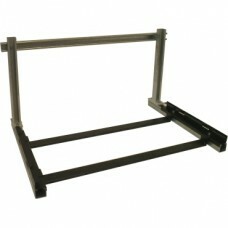 This machine features a gravity drain though a pumped version can be supplied to order.